Imagine if he wasn’t drunk. I hope he’s an organ donor. 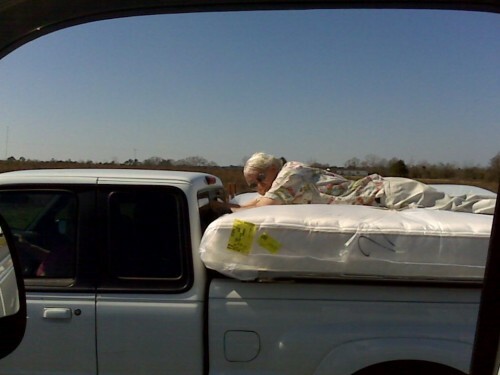 And if the wind catches that mattress, we’ve got an unidentified flying grandmother. Get outta bed & get some fresh air. No. You can’t make me.